After the eye-catching covers for the French edition of Nnedi Okorafor’s “Who Fears Death”, her upcoming novel “Lagoon” and Louis Greenberg’s “Dark Windows” Joey Hi-Fi finishes the year in style with another such excellent book cover. 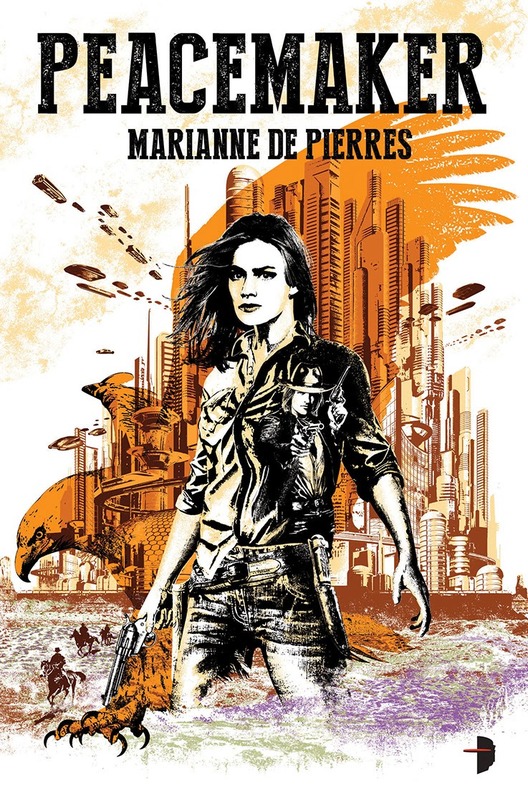 This time is for a novel due to be published by Angry Robot Books on April next year, Marianne de Pierres’ “Peacemaker”. And as I already said I find myself speechless once again in face of Joey Hi-Fi’s works.